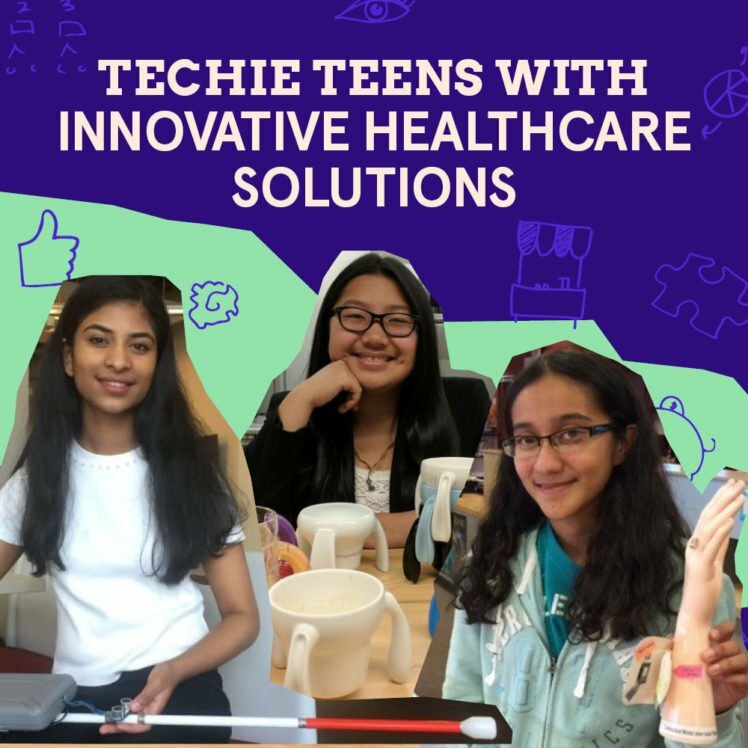 Meet these teen entrepreneurs who are using their tech know-how for healthcare businesses that help others. When kids think about starting a business, they’re not typically gravitating towards developing products that cater to senior citizens, patients with injuries, or members of the disabled community. But these three young entrepreneurs are breaking the mold with their forward-thinking ideas that promote safety and care for people in need. 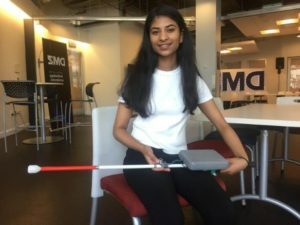 She made good on her promise when she developed a prototype cane equipped with GPS, a vibrating mechanism for turn-by-turn directions, and ultrasonic proximity sensors. Future innovative plans include a camera that can describe objects and recognize faces. With its well-deserved funding from Microsoft and other investors, Smart Cane shows a lot of promise for the future. In 2016, Anushka Naiknaware, from Portland, Oregon became the youngest person to win an award at the Google Science Fair at just 13 years old. Her winning entry was a smart bandage that alerts medical professionals and caregivers when it’s time for a replacement. “More people die of injuries per year than they do of HIV, malaria, and tuberculosis combined,” Anushka shared in a video posted by Google Science Fair. 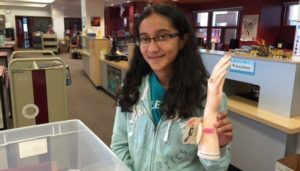 “After I discovered that, I wanted to find a solution for this.” While researching for this solution, Anushka realized that changing a bandage too soon or too often can delay a wound’s healing time. So she created a sensor-embedded bandage that measures a wound’s moisture levels without having to remove the dressing from the patient. This award-winning invention netted Anushka a scholarship worth $15,000 and invaluable 12-month entrepreneurship mentoring from a LEGO executive. She planned on maximizing this mentorship by learning how to secure a U.S. Food and Drug Administration approval and how to mass-produce her smart bandage so patients with chronic wounds can benefit. A mentor with entrepreneurial experience can undoubtedly help Anushka face her business challenges the same way you, as a parent, can offer emotional support and encourage your daughter to find her passion or even come up with a product that saves lives, too. Lily Born knows firsthand that seemingly normal tasks can be challenging for older people. Lily’s grandfather, who had Parkinson’s disease, couldn’t hold a cup without spilling its contents. Lily took action and decided to come up with a cup that had legs to prevent spills. She invented the Kangaroo Cup from this idea and established her Imagiroo company. 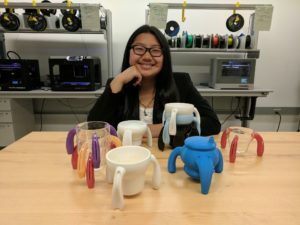 At just 16 years old, Lily has already exhibited her original product at the White House Science Fair and has shared her uplifting entrepreneurial story with numerous media outlets. Today, she engages with kid entrepreneurs as a speaker and grows her Imagiroo business with Kangaroo Cup sales and the Invention Workbook for aspiring young inventors. Solving a common pain point experienced by any generation with a novel idea is a solid start for any business. With their patience and perseverance, entrepreneurs behind innovative healthcare businesses can contribute positively to the lives of so many people. We recently had a chat with Lily so you can learn more about her and her helpful Kangaroo Cup here.